After the creation of the Eastern Bloc, emigration out of the newly occupied countries, except under limited circumstances, was effectively halted in the early 1950s, with the Soviet approach to controlling national movement emulated by most of the rest of the Eastern Bloc. However, in East Germany, taking advantage of the Inner German border between occupied zones, hundreds of thousands fled to West Germany, with figures totaling 197,000 in 1950, 165,000 in 1951, 182,000 in 1952 and 331,000 in 1953. One reason for the sharp 1953 increase was fear of potential further Sovietization with the increasingly paranoid actions of Joseph Stalin in late 1952 and early 1953. 226,000 had fled in the just the first six months of 1953. The Eastern Bloc countries achieved high rates of economic and technical progress, promoted industrialisation, and ensured steady growth rates of labor productivity and rises in the standard of living. However, because of the lack of market signals, Eastern Bloc economies experienced mis-development by central planners. The Eastern Bloc also depended upon the Soviet Union for significant amounts of materials. In the Soviet Union, there was unprecedented affordability of housing, health care, and education. Apartment rent on average amounted to only 1 percent of the family budget, a figure which reached 4 percent when municipal services are factored in. Tram tickets were 20 kopecks, and a loaf of bread was 15 kopecks. The average salary of an engineer was 140–160 rubles. Severe environmental problems arose through urban traffic congestion, which was aggravated by pollution generated by poorly maintained vehicles. Large thermal power stations burning lignite and other items became notorious polluters, while some hydro-electric systems performed inefficiently because of dry seasons and silt accumulation in reservoirs. Kraków was covered by smog 135 days per year while Wrocław was covered by a fog of chrome gas. ^ a b Compare: Janzen, Jörg; Taraschewski, Thomas (2009). Shahshahānī, Suhaylā (ed.). Cities of Pilgrimage. Iuaes-series. 4. Münster: LIT Verlag. p. 190. ISBN 9783825816186. Retrieved 21 December 2012. Until 1990, despite being a formally independent state, Mongolia had de facto been an integral part of the Soviet-dominated Eastern Bloc. ^ "Г.А.Зюганов. Система вымирания. Лидер КПРФ анализирует безрадостные итоги правления Путина. Демографическая проблема отражает все недуги общества". Kprf.ru. 13 April 2008. Retrieved 19 November 2013. ^ "Germany – Housing". Country-data.com. Retrieved 19 November 2013. ^ "Ирония нашей судьбы : Социум : Еженедельник 2000". 2000.net.ua. Archived from the original on 20 October 2013. Retrieved 19 November 2013. ^ "The world's first nuclear power plant built in Obninsk | Image galleries | RIA Novosti". En.rian.ru. Retrieved 19 November 2013. ^ "Sergey A. Lebedev". Computer.org. Retrieved 19 November 2013. ^ "Moscow metro – a piece of art hidden underground — RT News". Rt.com. Retrieved 19 November 2013. ^ "End of Communism Cheered but Now with More Reservations". Pew Research Center's Global Attitudes Project. 2 November 2009. Retrieved 14 May 2018. ^ "Confidence in Democracy and Capitalism Wanes in Former Soviet Union". Pew Research Center's Global Attitudes Project. 5 December 2011. Retrieved 14 May 2018. ^ Ghodsee, Kristen R.; Sehon, Scott (22 March 2018). "Anti-anti-communism". Aeon. Retrieved 26 September 2018. The Berlin Wall (German: Berliner Mauer, pronounced [bɛʁˈliːnɐ ˈmaʊ̯ɐ] (listen)) was a guarded concrete barrier that physically and ideologically divided Berlin from 1961 to 1989. Constructed by the German Democratic Republic (GDR, East Germany), starting on 13 August 1961, the Wall cut off (by land) West Berlin from virtually all of surrounding East Germany and East Berlin until government officials opened it in November 1989. Its demolition officially began on 13 June 1990 and finished in 1992. The barrier included guard towers placed along large concrete walls, accompanied by a wide area (later known as the "death strip") that contained anti-vehicle trenches, "fakir beds" and other defenses. The Eastern Bloc portrayed the Wall as protecting its population from fascist elements conspiring to prevent the "will of the people" in building a socialist state in East Germany. GDR authorities officially referred to the Berlin Wall as the Anti-Fascist Protection Rampart (German: Antifaschistischer Schutzwall). The West Berlin city government sometimes referred to it as the "Wall of Shame", a term coined by mayor Willy Brandt in reference to the Wall's restriction on freedom of movement. Along with the separate and much longer Inner German border (IGB), which demarcated the border between East and West Germany, it came to symbolize physically the "Iron Curtain" that separated Western Europe and the Eastern Bloc during the Cold War.Before the Wall's erection, 3.5 million East Germans circumvented Eastern Bloc emigration restrictions and defected from the GDR, many by crossing over the border from East Berlin into West Berlin; from there they could then travel to West Germany and to other Western European countries. Between 1961 and 1989 the Wall prevented almost all such emigration. During this period over 100,000 people attempted to escape and over 5,000 people succeeded in escaping over the Wall, with an estimated death toll ranging from 136 to more than 200 in and around Berlin. In 1989 a series of revolutions in nearby Eastern Bloc countries—Poland and Hungary in particular—caused a chain reaction in East Germany that ultimately resulted in the demise of the Wall. After several weeks of civil unrest, the East German government announced on 9 November 1989 that all GDR citizens could visit West Germany and West Berlin. Crowds of East Germans crossed and climbed onto the Wall, joined by West Germans on the other side in a celebratory atmosphere. Over the next few weeks, euphoric people and souvenir hunters chipped away parts of the Wall; the governments later used industrial equipment to remove most of what was left. The "fall of the Berlin Wall" paved the way for German reunification, which formally took place on 3 October 1990. Bulgarian National Radio (Bulgarian: Българско национално радио, Bŭlgarsko natsionalno radio; abbreviated to БНР, BNR) is Bulgaria's national radio broadcasting organization. It operates two national and seven regional channels, as well as an international service – Radio Bulgaria – which broadcasts in 11 languages. Central and Eastern Europe, abbreviated CEE, is a term encompassing the countries in Central Europe (the Visegrád Group), the Baltics, Eastern Europe, and Southeastern Europe (Balkans), usually meaning former communist states from the Eastern Bloc (Warsaw Pact) in Europe. Scholarly literature often uses the abbreviations CEE or CEEC for this term. The Organisation for Economic Co-operation and Development also uses the term "Central and Eastern European Countries (CEECs)" for a group comprising some of these countries. A dissident, broadly defined, is a person who actively challenges an established doctrine, policy, or institution. In a religious context, the word has been used since 18th century, and in the political sense since 1940, coinciding with the rise of totalitarian systems, especially the Soviet Union. Eastern Bloc governments argued that strict limits to emigration were necessary to prevent a brain drain. The United States and Western European governments argued that they represented a violation of human rights. Despite the restrictions, defections to the West occurred. After East Germany tightened its zonal occupation border with West Germany, the city sector border between East Berlin and West Berlin became a loophole through which defection could occur. This was closed with the erection of the Berlin Wall in 1961. Thereafter, emigration from the Eastern Bloc was effectively limited to illegal defections, ethnic emigration under bilateral agreements, and a small number of other cases. Eastern Bloc politics followed the Red Army's occupation of much of eastern Europe at the end of World War II and the Soviet Union's installation of Soviet-controlled Stalinist or Marxist–Leninist governments in the Eastern Bloc through a process of bloc politics and repression. The resulting governments contained vestiges of western democracies to initially conceal the process.Once in power, each country's Soviet-controlled communist party took permanent control of the administration, political organs, police, societal organizations and economic structures to ensure that no effective opposition could arise and to control socioeconomic and political life therein. Party and social purges were employed along with the extensive use of secret police organizations modeled on the Soviet KGB to monitor and control local populations. Eastern Europe is the eastern part of the European continent. There is no consensus on the precise area it covers, partly because the term has a wide range of geopolitical, geographical, cultural, and socioeconomic connotations. There are "almost as many definitions of Eastern Europe as there are scholars of the region". A related United Nations paper adds that "every assessment of spatial identities is essentially a social and cultural construct". One definition describes Eastern Europe as a cultural entity: the region lying in Europe with the main characteristics consisting of Greek, Byzantine, Eastern Orthodox, Russian, and some Ottoman culture influences. Another definition was created during the Cold War and used more or less synonymously with the term Eastern Bloc. A similar definition names the formerly communist European states outside the Soviet Union as Eastern Europe. The majority of historians and social scientists view such definitions as outdated or relegated, but they are still sometimes used for statistical purposes. Izvestia (Russian: Известия, IPA: [ɪzˈvʲesʲtʲɪjə]) is a daily broadsheet newspaper in Russia. It was a newspaper of record in the Soviet Union from 1917 until the dissolution of the USSR in 1991.The word izvestiya in Russian means "delivered messages", derived from the verb izveshchat ("to inform", "to notify"). In the context of newspapers it is usually translated as "news" or "reports". Latvijas Radio is a national cultural institution, fostering radio drama, and organizing a radio choir as well as children's vocal groups. The organization's phonographic archives contain approximately 200,000 sound recordings. Latvijas Radio became a member of the European Broadcasting Union (EBU) on 1 January 1993.Since 2013 it has collaborated with Latvijas Televīzija (Latvian Television) as part of the Latvijas Sabiedriskie Mediji (Public Broadcasting of Latvia) news platform and online streaming service. Soon after the formation of the Soviet Union, emigration restrictions were put in place to keep citizens from leaving the various countries of the Soviet Socialist Republics, though some defections still occurred. During and after World War II, similar restrictions were put in place in non-Soviet countries of the Eastern Bloc, which consisted of the Communist states of Eastern Europe.Until 1952, however, the lines between Communist East Germany and the western occupied zones could be easily crossed in most places. Accordingly, before 1961, most of that east-west flow took place between East and West Germany, with over 3.5 million East Germans emigrating to West Germany before 1961. On August 13, 1961, a barbed-wire barrier, which would become the Berlin Wall separating East and West Berlin, was erected by East Germany.Although international movement was, for the most part, strictly controlled, there was a steady loss through escapees who were able to use ingenious methods to evade frontier security. Numerous notable Eastern Bloc citizens defected to non-Eastern Bloc countries.The following list of Eastern Bloc defectors contains notable defectors from East Germany, the Soviet Union, Poland, Bulgaria, Romania, Czechoslovakia, Hungary, and Albania before those countries' conversions from Communist states in the early 1990s. M2 (M Kettő) is a Hungarian television channel owned and operated by Magyar Televízió. It is also transmitted in high definition. Since December 22, 2012, M2 broadcasts mainly children's programming and on March 15, 2015, night-time programming on M2 is now called M2 Petőfi. Similar to TVP ABC in Poland, CBeebies, CBBC and BBC Three in the UK, M2 broadcast children's programming during the day while M2 Petőfi now targets youth audiences as they broadcast at night with music videos (local and abroad), music-related (music concerts) and youth-related programming, as well as exclusive content from its radio counterpart, MR2 Petőfi Rádió. The nomenklatura (Russian: номенклату́ра, IPA: [nəmʲɪnklɐˈturə]; Latin: nomenclatura) were a category of people within the Soviet Union and other Eastern Bloc countries who held various key administrative positions in the bureaucracy, running all spheres of those countries' activity: government, industry, agriculture, education, etc., whose positions were granted only with approval by the communist party of each country or region. Virtually all members of the nomenklatura were members of the Communist Party. 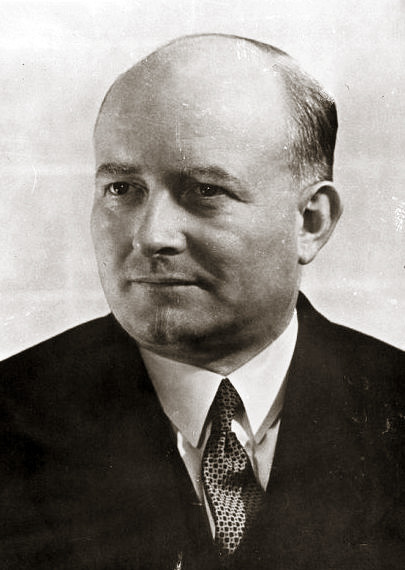 Critics of Stalin, such as Milovan Đilas, critically defined them as a "new class". Trotsky used the term caste rather than class, because he saw the Soviet Union as a degenerated workers' state, not a new class society. Later developments of Trotsky's theories, such as Tony Cliff's theory of state capitalism, did refer to the nomenklatura as a new class. Richard Pipes, an anti-communist writer, claimed that this system mainly reflected a continuation of the old Tsarist regime, as many former Tsarist officials or "careerists" joined the Bolshevik government during and after the Russian Civil War.The nomenklatura forming a de facto elite of public powers in the previous Eastern Bloc, may be compared to the western establishment holding or controlling both private and public powers (e.g., media, finance, trade, industry, state and institutions). Proper Red Westerns, set in America's "Wild West" but involving radically different themes and interpretations than US westerns. Examples include Lemonade Joe (Czechoslovakia, 1964), or the East-German The Sons of Great Bear (1966) or The Oil, the Baby and the Transylvanians (Romania, 1981), or A Man from the Boulevard des Capucines (USSR, 1987). These were mostly produced in Eastern European countries like East Germany and Czechoslovakia, rather than USSR. Easterns (Osterns), set usually on the steppes or Asian parts of the USSR, especially during the Russian Revolution or the following Civil War, but presented in a style inspired by American western films. Examples of these include The Elusive Avengers (1966) and its two sequels, White Sun of the Desert (1969), Dauria (1971), At Home among Strangers (1974), The Burning Miles (1957), The Bodyguard (1979), and The Sixth (1981).While influenced by Westerns, Easterns form a specific and distinct genre. The word "Ostern" is derived from the German word Ost, meaning "East". Red Westerns of the first type are often compared to Spaghetti Westerns, in that they use local scenery to imitate the American West. 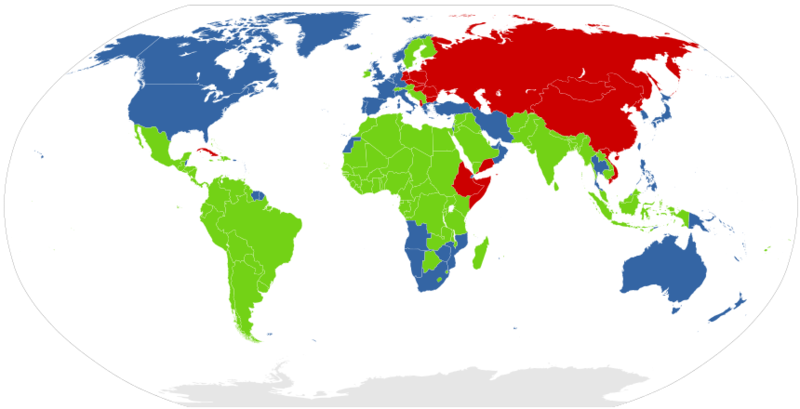 In particular, Yugoslavia, Mongolia and the Southern USSR were used. Some of the East German films were called Sauerkraut Westerns. Polskie Radio Spółka Akcyjna (PR S.A.; English: Polish Radio) is Poland's state-owned national public-service radio broadcasting organization. Radio 3 net is the former Radio România Tineret (or Radio 3). More than 20,000 albums are stored on Radio 3 net. A few of the prominent features available on the website are "1001 Albums You Must Hear Before You Die" and "Search & Play". Until recently, the director of Radio3Net was Florian Pittiş.